New York is a city of many names and many guises, from the stately brownstones of Brooklyn, to the glass skyscrapers and commerce of Manhattan, from the trendy SoHo cafes to the bright lights of Broadway. It is a city that holds a unique allure, so it’s no surprise that it’s inspired many a writer to put pen to paper. 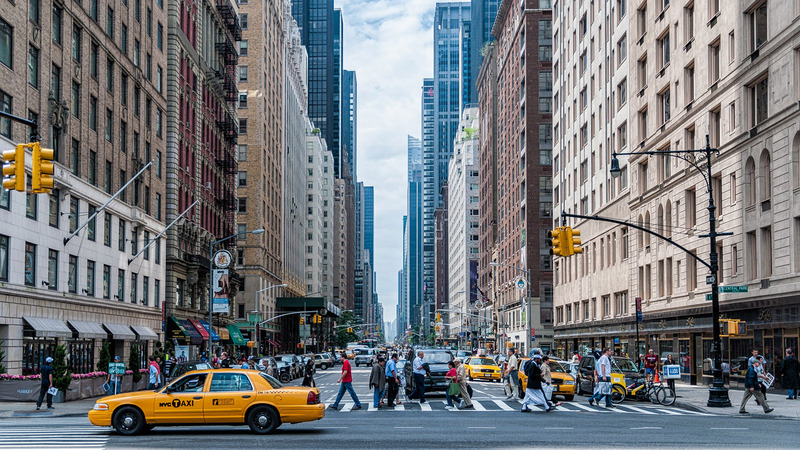 Here are some of the best books which are set in the 'Big Apple'. New York City: a city of many names and many guises, from the stately brownstones of Brooklyn, to the glass skyscrapers and commerce of Manhattan, from the trendy SoHo cafes to the bright lights of Broadway. It is a city that holds a unique allure, so it’s no surprise that it’s inspired many a writer to put pen to paper. ‘Songwriters composed passionate lyrics about it. Authors made it the centrepiece of their novels. Actors professed their love for it in late-night interviews . . .’ So central character Vanessa reflects in the hotly-anticipated new novel The Wife Between Us by Greer Hendricks and Sarah Pekkanen. Prepare to be enthralled by Hendricks and Pekkanen’s own deft portrait of NYC at the heart of this brilliant new thriller, which is published in ebook now, and in hardback on 2nd February 2018. Inspired by this addictive debut, here are some more of the best books set in The Big Apple for you to sink your teeth into in 2018. The eagerly-awaited new thriller, published in ebook now (just 98p on Kindle for a limited time!) and hardback on 8th February 2018. The Wife Between Us is pacey, whip smart and brilliantly clever. Prepare to be gripped until the final page. Working-class Queens, New York, 1965. Inhabitants of the crowded apartment buildings swelter in a heatwave. One July morning Ruth Malone, a single mother, wakes to find her two young children missing. After a desperate search, the case tragically becomes a double murder investigation. With her glossily made-up face, figure-hugging clothes and the empty liquor bottles and love letters strewn around her apartment, the detectives leap to unimaginative conclusions. Ruth may not comply with society’s perceptions of what a mother should be, but is she really capable of murder? 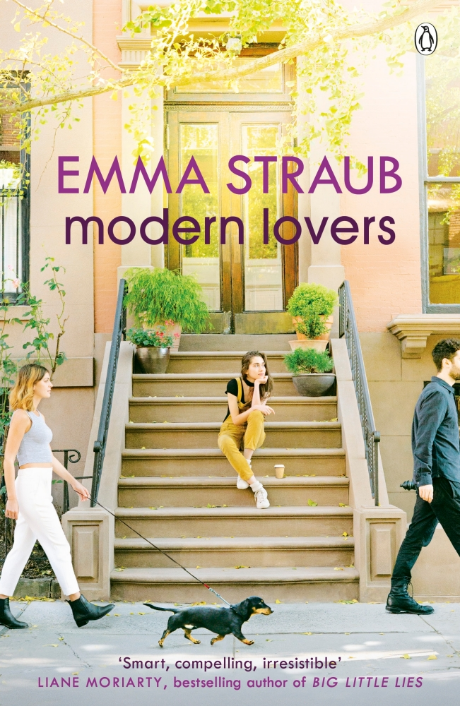 It’s 2015, and after ten years of running from her past Josie Buhrman is finally building a real life for herself in New York. No one knows the truth of her previous life, not even her fiancé. But when investigative journalist Poppy Parnell releases a podcast about the murder of Josie’s father, Josie’s new life is blown apart. As the podcasts gain the nation’s attention, the long-shut case is forced to reopen and Josie is drawn back in to the family tragedy she was trying so hard to escape. A captivating psychological thriller with a clever modern twist. On a bright November day in 1963, America’s glamorous young president is shot. The same day, Nell Benjamin receives a phone call about her husband that shatters her world. As the nation mourns publicly, Nell must come to terms with a private tragedy and a devastating betrayal that tears apart her understanding of her marriage and the man she thought she knew so well. Set in literary Manhattan of the fifties and sixties, The Unwitting brilliantly captures the Mad Men-esque atmosphere of nascent sexual awareness, intrigue and secrecy. Kate Madison has worked hard to support her four kids through college since her husband’s early death. Her stylish second-hand clothing shop in SoHo has been a huge success – one of the best fashion finds in New York according to the likes of Vogue. Now, Kate’s children are grown up and forging their own lives. But to Kate’s dismay, they are all playing a high stakes game with the choices they make. Can Kate stand by to let them learn from their mistakes? Danielle Steel does it again with this powerful tale of a family bound together, against all odds, by a mother’s unconditional love. Wall Street in the eighties; the American dream in overdrive. On the surface, Patrick Bateman is living the dream: a job as a stockbroker, dinner dates every night at the latest restaurant in town, a string of admirers – aided by his charm and good looks. But behind the pristine façade lurks a psychopath. A man addicted to his superficial life, Bateman pulls us into a dark underworld where the American Dream turns to nightmare. One of the most controversial novels of all time American Psycho (which was adapted into a film of the same name in 2000) is a disturbingly brilliant black satire about the darkest side of human nature. F. Scott Fitzgerald brings the decadence of the New York Jazz Age alive in this enduring modern classic. Anthony and Gloria are a young, carefree and glamorous couple. New York is their playground as they enjoy a never-ending party of cocktails and dancing. But as their money begins to run out, and their inheritance shows no signs of arriving soon, their marriage begins to buckle and the shine and glamour of their world starts to fade. College friends Elizabeth, Zoe and Andrew were in a band together, supposedly grew up, settled in New York and now live in the same Brooklyn neighbourhood – and in each other’s pockets. One hot summer as their kids come of age, it's they, the parents, who find that the lives they've haphazardly stitched together are beginning to slowly unravel. Wise, insightful and witty, Modern Lovers is a brilliant read about the complexities of friendship, the sobering arrival of middle age, and the passions and ambitions of our youth. Meet Tess, a twenty-two-year-old seeking a new life in New York. Arriving with no job prospects, she stumbles into a role as a lowly back-waiter. This isn’t just your average run-of-the-mill steakhouse though. Somehow Tess has landed a job in one of the most renowned restaurants in the city and she can’t help but fall for this new world of fine dining – plus the good-looking bartender and charismatic senior server. 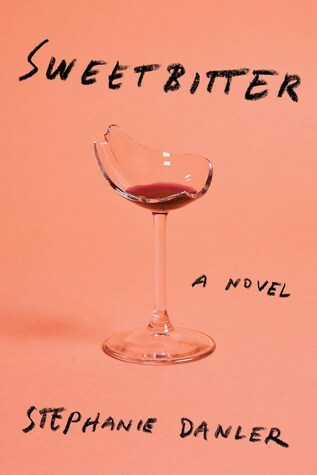 Smart, amusing and a sensual feast for all foodie-lovers, Bittersweet can easily be consumed in one hungry sitting. Joanna DeAngelis may be gone from this life, but she has a score to settle before she can move on to the next. Abandoned and betrayed by her younger lover, Joanna falls into a dark afterlife and rises up as a restless spirit intent on revenge. From Manhattan to Broadway, Long Island to Brooklyn and Queens, Joanna’s journey through the landscape of her memory and desires takes us on an evocative tour of New York. Darkly funny and uplifting, the debut novel from Stephanie Gangi is a provocative page-turner.